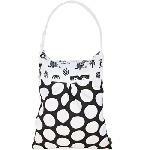 The Planet Wise Hanging Wet Bag is the perfect compliment to any cloth diaper stash. Just hang the wet bag next to your changing table or in the bathroom and it is an easy switch to empty into the washing machine. This is a MUST HAVE accessory for anyone who use cloth diapers! 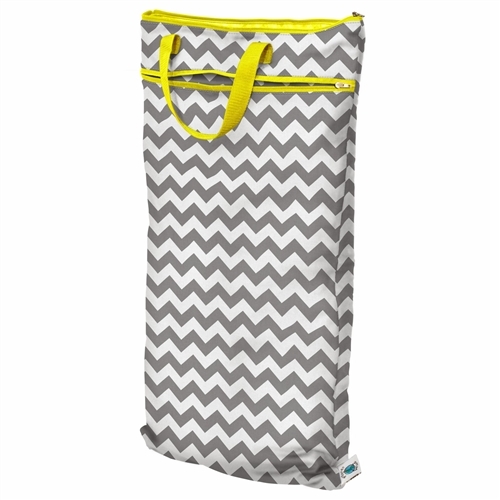 This is also a great bag to take to the beach and hang on your canopy to keep your wet towels and bathing suits out of the sand. 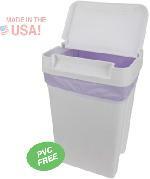 This is the ideal hanging pail - works really well for traveling, plus has an extra pocket to store clean diapers. Long lasting and great quality.